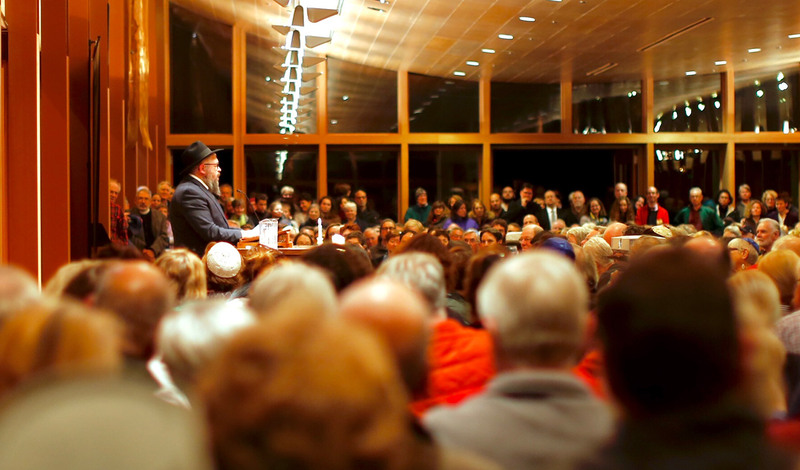 Rabbi Moshe Wilansky addresses an overflow crowd during a vigil at Congregation Bet Ha'am in South Portland on Oct. 30. The gathering was held to commemorate the 11 people killed at a Pittsburgh synagogue three days earlier. On Monday, the Portland City Council approved a resolution condemning hate and discrimination. South Portland Oct. 30 2018 Rabbi Moshe Wilansky addresses an overflow crowd during the Community Vigil for Pittsburgh.